On February 23, 2017, the Department of Health and Human Services' Centers for Medicare & Medicaid Services (CMS) released its Insurance Standards Bulletin Series, in which it re-extended its transitional policy for non-grandfathered coverage in the small group and individual health insurance markets. States may permit issuers that have renewed policies under the transitional policy continually since 2014 to renew such coverage for a policy year starting on or before October 1, 2018; however, any policies renewed under this transitional policy must not extend past December 31, 2018. If permitted by applicable state authorities, health insurance issuers may choose to continue certain coverage that would otherwise be cancelled, and affected individuals and small businesses may choose to re-enroll in such coverage. As background, CMS' transitional policy was first announced in November 14, 2013; CMS had most recently extended the transitional policy on February 29, 2016, for an additional year for policy years beginning on or before October 1, 2017, provided that all policies end by December 31, 2017. However, issuers can choose to adopt some of or all these provisions in their renewed policies. Practically speaking, grandmothering provides some small employers the option to maintain a pre-ACA health plan. Although not every state allows grandmothering of policies and not all insurance carriers offer the option in those states endorsing it, there are still some employers in the 35 states that allow grandmothering who are able to be composite rated (rates based on the health status of the group), which protects young, healthy groups in particular. Grandmothered groups with older, unhealthy populations could still move to community-rated ACA- compliant plans, which were generally less costly for them, giving all groups the flexibility to save money. The UBA Health Plan Survey finds that though this grandmothered group is shrinking (8.1% of all plans compared to 17% in 2015), these employers have helped to keep overall average increases in check. In fact, premium renewal rates (the comparison of similar plan rates year over year) have increased an average of 5.9% for all plans—up only slightly from last year’s 5.6% increase. Small groups who found temporary protection this year through grandmothering and the PACE Act (depending on their state) were a significant factor in overall cost mitigation. 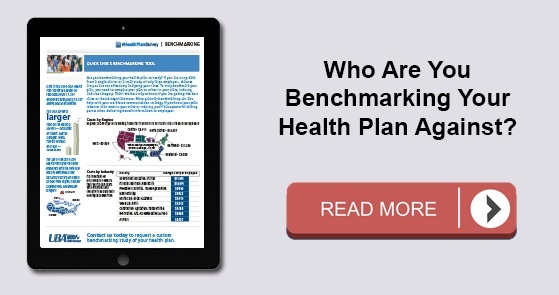 To benchmark your health plan to your geographic, industry or sized-based peers, view our Quick Check Benchmarking Tool or request a custom benchmarking report from a local UBA Partner.